Before I became vegan, one of my favourite meals used to be macaroni cheese. I love creamy dishes and always choose them over tomato based dishes. So pretty quickly into my vegan journey I tried making a vegan cheese sauce, it’s such a staple and I use it on cauliflower cheese, enchiladas, lasagne, pasta, toasties, pizza.. I just replicated the dairy version I used to make but switched out the dairy for non-dairy alternatives and added a couple of things in. 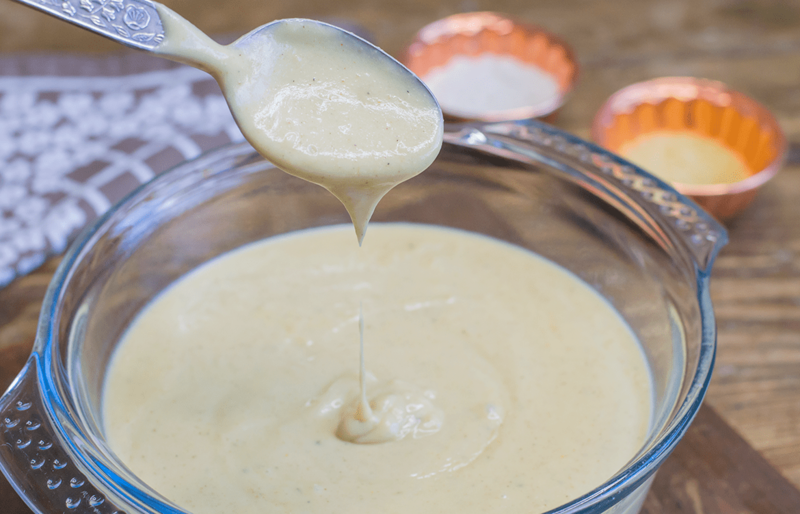 There are lots of different vegan cheese sauce recipes out there using things like cashew nuts or potatoes but I like to keep this as similar to the real thing as possible and this is the closest I’ve tasted. I do love cashew nut sauces but I find they are pretty different to the real thing. One ingredient that is essential in this is the nutritional yeast, I absolutely adore this stuff and use it in so many things. It gives a savoury ‘cheese’ flavour. I buy it in packs of 3 from Amazon as we get through a lot of it. Cherry loves it and just sprinkles it all over her meals. It’s super nutritious too and has loads of B vitamins in it. 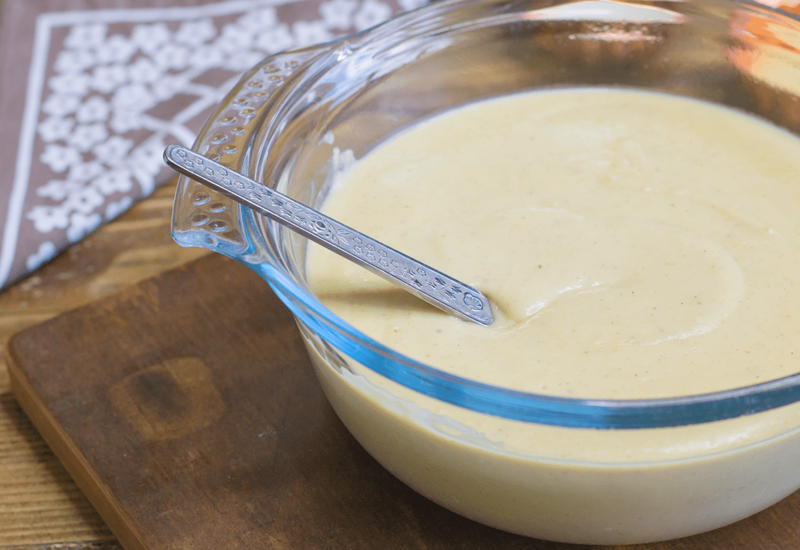 This vegan cheese sauce is so thick and creamy, and smooth, you wouldn’t ever know it was dairy free! The vegan grated cheese is optional and more often than not I don’t bother adding it but if I have some in the fridge then I usually put some in. I find it doesn’t need it though and is just as good without, thanks to the nutritional yeast. This vegan cheese sauce recipe will give you enough for a lasagne or a small pasta bake, or you can let it cool and keep it in the fridge for a few days and use it as and when you need it. I would recommend using a thick and creamy milk, I used to use unsweetened soya milk until I discovered Oatly Barista and now I only use that as it’s so creamy. Heat the milk up in a saucepan, this is important to stop the sauce splitting. Melt the butter in a large pan on a low heat. Whisk in the flour, one spoon at a time. Slowly add the hot milk, whisking continuously. Add the nutritional yeast, nutmeg, stock powder, herbs and vegan cheese. Continue whisking until sauce has thickened. I hope you’ve enjoyed my vegan cheese sauce recipe, I have a vegan lasagne recipe coming up soon that I used this sauce in.